TRIMS Tree Inventory provides a complete tree inventory, tree care and work tracking system for large grounds areas, golf courses, parks, and business campuses. Tree Inventory maintains accurate records of tress, work schedules, work requests, and completed work activities. 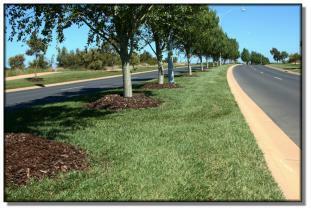 Tree Inventory is available as a stand-alone program or as an add-on to the TRIMS Grounds Management Software® System. Municipal Street Tree Inventory identifies each tree by house number and street address. Golf Course & Park Tree Inventory identifies each tree by a map or grid location.